This week Don McAllister posted an interesting article on his blog about his thoughts a couple months into using the new 12″ MacBook. Like me, he loves how thin and light it is but he had a few problems with it that he just couldn’t get past. The main thing was that he kept hoping he’d get used to the new scissor keyboard they introduced on this Mac but after 10 weeks he still hated it. He found that his typos increased dramatically on the new Mac. He also found that he would get errant jumping around of his insertion point so that when he was typing along, he’d suddenly be typing in the wrong place. 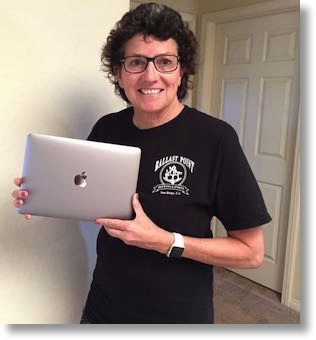 Last week when I was writing up my post about Photos after the honeymoon is over, I was planning to write a honeymoon is over post about the new 12″ MacBook. I was going to say that as much as I tried to love the keyboard, I hated it too. I was going to say that my typos went up dramatically with it vs. the older style chicklet keyboard on the MacBook Pro and MacBook Airs and even the Apple Bluetooth keyboard. I was also going to tell you that I noticed from time to time that the insertion point would occasionally jump to random locations. But I had a bigger problem than that, and it’s that every once in a while, maybe on the order of once a week, one of the keys would actually get stuck on the keyboard. I could picture the little scissor mechanism getting jammed up inside. If I pushed extra hard I’d hear a click and then the key would move freely again. This was tricky to prove to anyone because it wasn’t ever the same key and I couldn’t just leave one key non-functional for the 3 days it takes to get a genius bar appointment at the Apple Store, so I was pretty much living with it for the last few weeks. Finally last week the tab key got stuck. It turns out you can pretty much live without a tab key so I didn’t fix it. I got a genius bar appointment and learned to use gestures to switch apps instead of command-tab and that held me until my appointment time. Off Steve and I trotted to the Apple Store on Tuesday night. I don’t know if you have been to an Apple Store recently but a while back Angela made everyone go without name tags. Steve and I both hate it and every employee we talk to hates it too. Nameless help is so much less personal. I told the guy I worked with that because of this I choose to call all Apple employees I deal with by the name Kevin. He responded by saying he’s going to call all customers Betty. I thought that was fair. Well the happy ending to the story is that Kevin gave me a new MacBook. I know from past experience being one of the bleeding edgers that Apple wants to get back early defective units because it helps them diagnose problems in a product line so they can feed back the improvements to design and manufacturing. Later in a product’s lifecycle they’ve pretty much worked out any process bugs they can and so they can fix your computer instead of replacing it. The genius, Kevin, said I was absolutely right about that. But here’s the best part about the story. The keyboard on the replacement MacBook is MUCH MUCH better than the original one! I think I had a defective unit from day one. It was always hard to type on but this one is so much easier I can’t believe I put up with it all that time. As of this point in time, I haven’t yet seen the cursor insertion point jump around but I’ll have to wait and see if that rare but persistent bug comes back. If you’ve got a 12″ MacBook and the keyboard doesn’t feel good to you, trot over to the store and try out some of the floor models and see if their keyboards aren’t better. I wish I had a long time ago! So now I have a thin, light, and reasonably snappy laptop with a great keyboard. It’s perfect for travel and in fact I use it around the house at least as often as I use my 15″ MacBook Pro. Nowadays it seems like a huge chore to carry that beast out to the back porch for casual computing time, so the MacBook is what I reach for first. I guess a good question would be whether I would recommend it as a main Mac to someone. The answer is yes, as long as the person is a “normal” user. By normal I mean they like to surf the web, listen to music, do email and not anything super high end like audio or video editing or gaming. 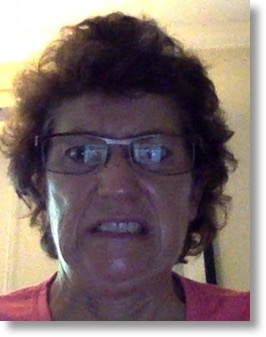 The one thing that surprised me about the 12″ MacBook is how awful the webcam is on this machine. Most Macs have a 720p camera but the MacBook has a 480p camera and they must have gotten it out of the junk bin because in low light it looks as bad as a typical PC built-in camera. Grainy doesn’t begin to describe it. If you have good lighting it’s not too bad but sitting on the couch in the evening at my house I look positively ghoulish on this camera. It’s a compromise I wish I didn’t have to make but since I have an iPhone, an iPad and another Mac I can use, I guess I can live with it. Bottom line is that I’m super happy with the 12″ MacBook and I’m delighted to have it as part of my digital life! What do you think about the single USB type c port? Thanks Henry. I don’t find it a bit of trouble. Since the battery lasts forever, I don’t have to have it plugged in except overnight. I occasionally have needed USB and I got the Apple adapter for that. I also bought one that has 2 USB ports, gigabit Ethernet and an SD card slot. I use that more often than anything every time in bring in photos. Sure it’s easier if you have a lot of ports but it’s funny how infrequently we really use them. Those slim Apple aluminum desktop keyboards? I keep some of the old white plastic ones around because after using the stylish thin ones, my finger joints whine. Don’t know if it is the height as hand angle differs greatly, or the lack of key travel . . .
Apple didn’t have much choice but to replace your computer with its broken key. This is even less repairable than the Air you tried. iFixit had some specific comments about durability of the plastic springs. Keyboard at Step 25. If Apple has already redesigned and greatly improved this keyboard, why no recall? Shouldn’t Don and others without stuck keys get replacements anyway? May I be forgiven just this once for pointing out that since Angela’s arrival I have encountered more vocal, unhappy Apple employees than I have since 2005 to her arrival combined? My AW purchase was a truly poor experience and a Genuis seemed to sum iup employee sentiment in telling me “we are taking the brunt of customers ire over her experiments.” I hope Apple will listen to the troops. I have to add that Angela has done nothing to improve my Apple Store experience either. Like opening any in New Zealand. Apple and Burberry have a lot in common. They’re wrapping essentially generic goods in cashmere linings, and persuading not just the luxe crowd but the influenced lesser demo-graspers to pony up. What was truly unique about the Apple Stores several years ago was the extraordinary level of customer support. Oh, it didn’t work sometimes. But more often than not it was possible to trundle in with a Mac that wasn’t working right, and sometimes even leave an hour later with the problem solved. It’s probably still possible to make an appointment to take a Mac in. But the FOCUS on prompt diagnosis, treatment, and cure is GONE. In its place is more retail. Offered by thinly trained “kids” who have to find an “old timer” to call over if there’s anything to ask more than price and availability in stock. I thought it was BRILLIANT to focus a retail store on SERVICE. Only at those little kiosks offering to install watch batteries was SERVICE the FOCUS, and mostly, not on the table. You’re not supposed to think about that $7,500 Rolex needing annual and expensive “adjustments.” Might deter the purchase. Now maybe the Geniuses are gone because there’s ever less to repair. Allison’s laptop is essentially not repairable. Take it in, swap for new. Send to depot, or for demolition. Save that valuable retail space to move product. I guess, get used to it. Your Mac is a fashion item. Mostly Samsung and Intel components wrapped in a nice package, running an OS built on BSD. The money isn’t made selling “generic” parts. It’s in the packaging. If swapping out keeps the customers happy, and swapping out actually costs less than fixing, that’s the future. I don’t know what’s going on at your Apple Store, George, but the Genius Bar is thriving at the two near my house and the one by Lindsay’s house. It’s so busy I can’t get an appointment for a couple of days out. What’s going on at the Tulsa store? The last time I passed through (day new iPod Touch was announced) the “Genius Bar” was closed, and the big screens behind it where appointments were displayed was OFF. Tables for watches took quite a bit of space. What had been going on at Genius Bar may have been going on at tables where “intro classes” had been held on the main sales area. Was there less service going on? Don’t know. But the FOCUS on service, made very clear because the FOCUS of the store layout had been the apparently closed Genius Bar is clearly less. I’ve read Apple is reinventing its store layout as part of the shift to “fashion” represented by hiring the raincoat lady (who turned Burberry from has-been to powerhouse clothing retailer). Maybe Tulsa is ahead of the curve? Like Peoria,IL, Tulsa is often used as a “test market.” Big enough to test in, small enough to manage media buys, separate geographically to keep “test ads” from spilling out regionally.